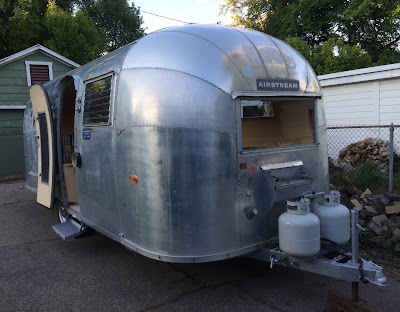 I am the happy and proud owner of an Airstream again! 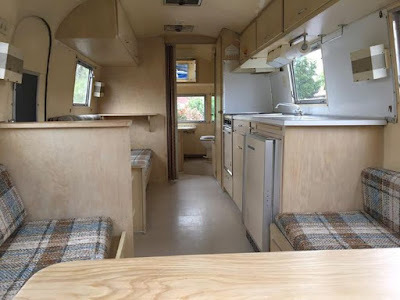 A 1962 Safari, 22 feet long. So much for waiting (see my post from Monday). 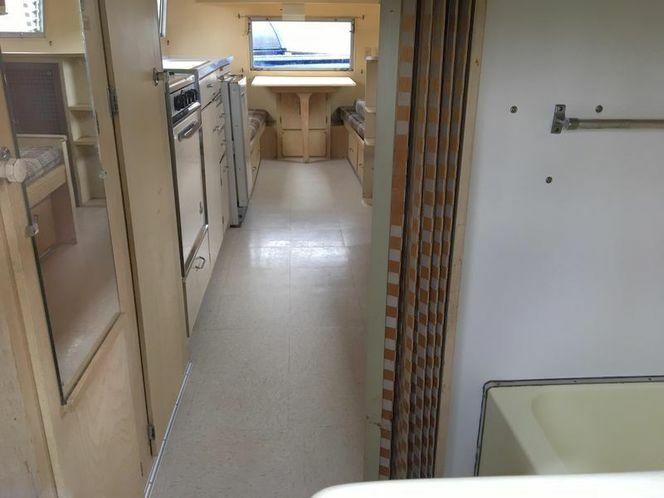 When this trailer was posted on our local classified ads two days ago, it felt like the right one. 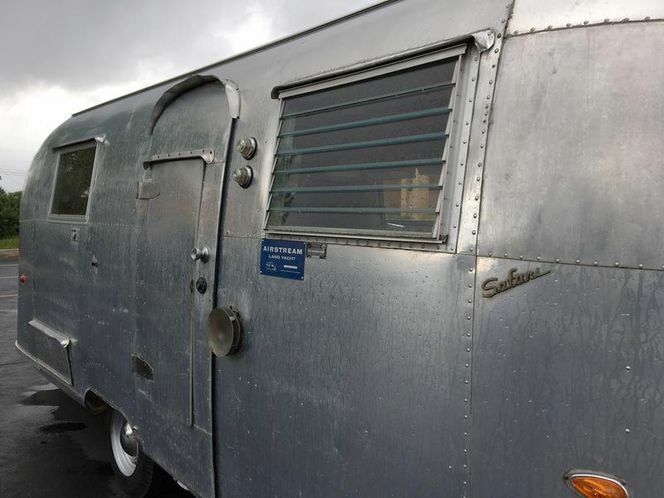 Wish me luck as these vintage trailers always have quirks you have to deal with (and pay for!). 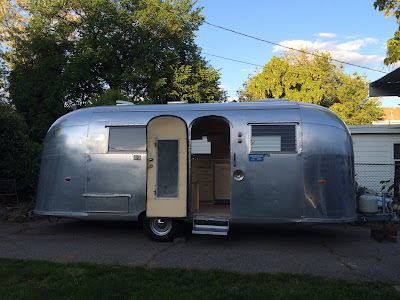 This trailer is older than me but it's impeccable inside and out--very cool given its age. Airstreams cost more than other trailers, but they tend to last and last and last. And yes, they are still in business and they still make them. Thanks Elise for your support and encouragement, and thanks Bryn for being my first guest. 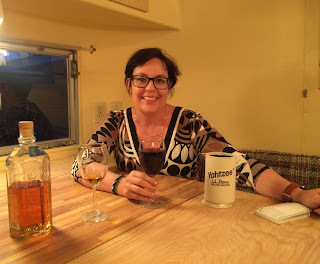 We played Yahtzee, had a drink, and along with Jake we soaked in the ambience of vintage trailer life. It's so good to be an Airstreamer again. 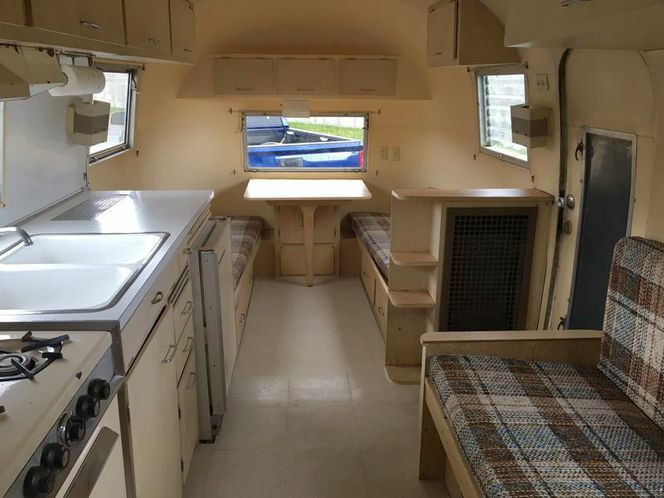 It was the fall of 2009 when I sold my 1973 Tradewind. 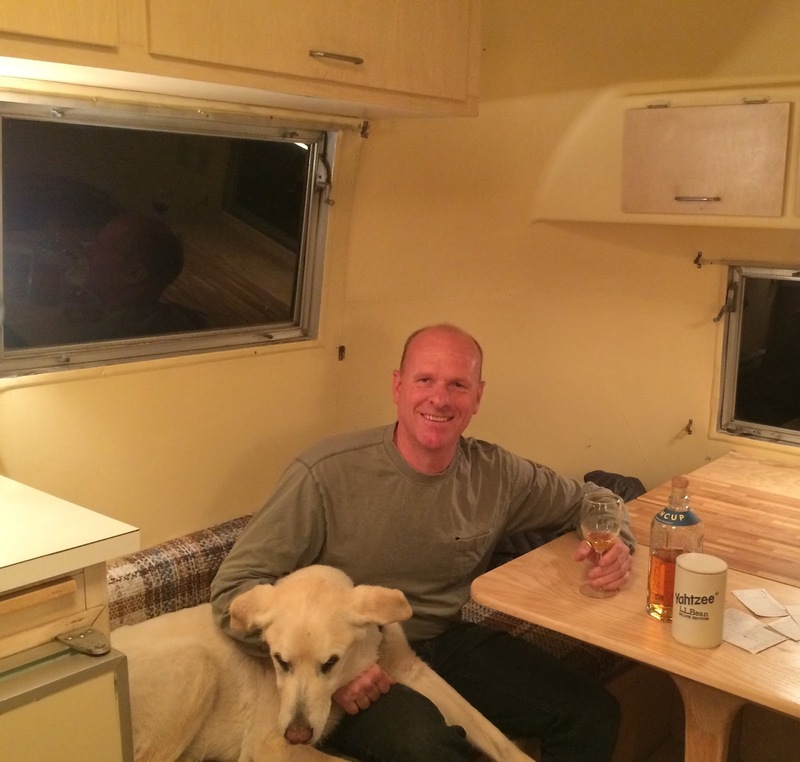 My Safari's first evening at my house. With Jake. I am so glad he's here to see a new chapter of Airstreaming. 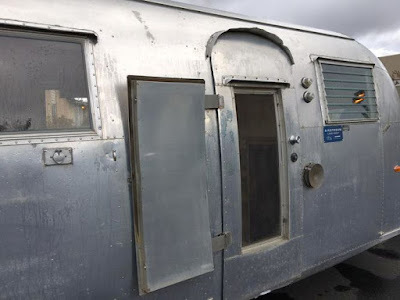 I think the "door in a door" concept is the coolest idea ever! Wish they still made those!